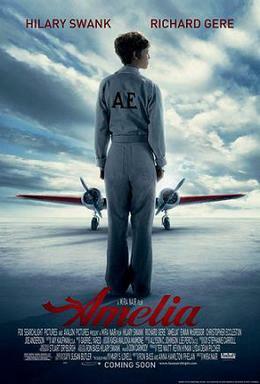 Hilary Swank and Richard Gere star in director Mira Nair's biopic tracing the life of famed aviator Amelia Earhart -- who made history in 1932 by becoming the first woman ever to fly solo across the Atlantic Ocean. Five years later, as Earhart attempted to fly around the world, the pilot and her plane simply vanished after crashing into the Pacific Ocean. Christopher Eccleston and Ewan McGregor co-star in the Avalon Pictures production.